﻿Kniphofia linearifolia, also called common marsh poker is an attractive plant, with showy greenish yellow to orange flowers. 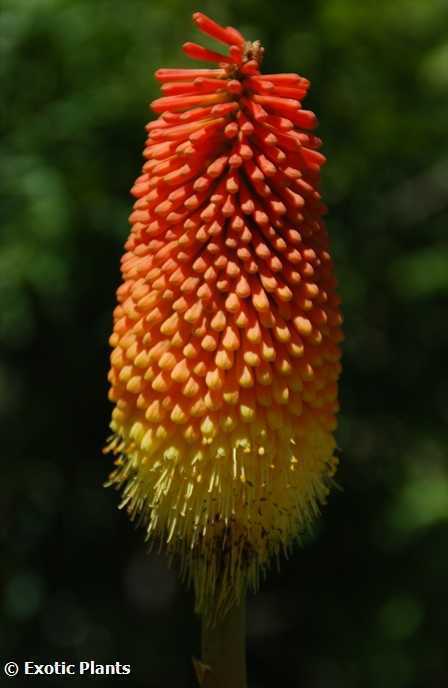 Kniphofia linearifolia attracts nectar-feeding birds such as sunbirds and sugarbirds. 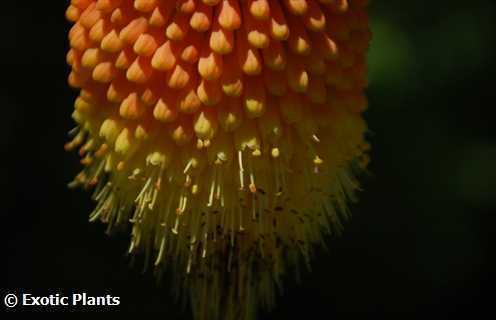 Certain insects also visit it. 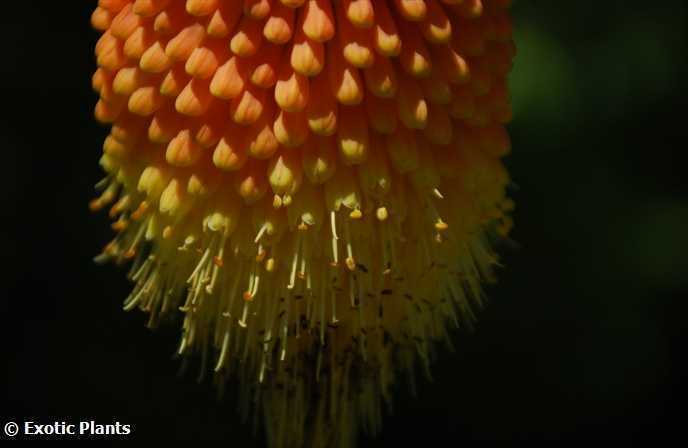 Although no medicinal purposes for this species have been recorded, the flowers of some species are reportedly used as a minor food and apparently taste like honey. 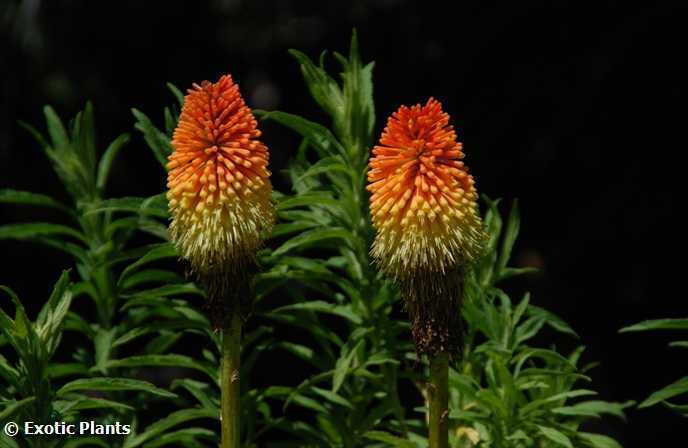 The genus Kniphofia was named in honour of Johannes Hieronymus Kniphof, (1704-1763), who was a professor of medicine at Erfurt University in Germany. Kniphofia linearifolia grows well in rich soil in an open, sunny position or partial shade. It may be grown from seeds, which may take up to six weeks to germinate. The seedlings may then be planted into the garden when they are 5-6 months old or 150 mm high and should be kept moist at all times. 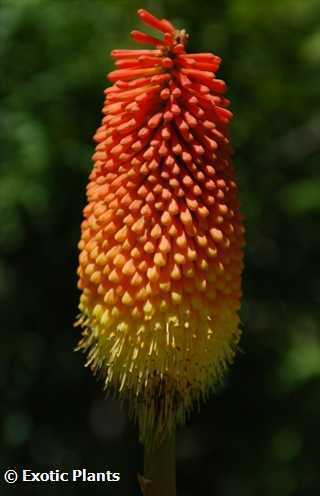 Kniphofia linearifolia makes a brilliant display in a garden and the flowers last for a long time. 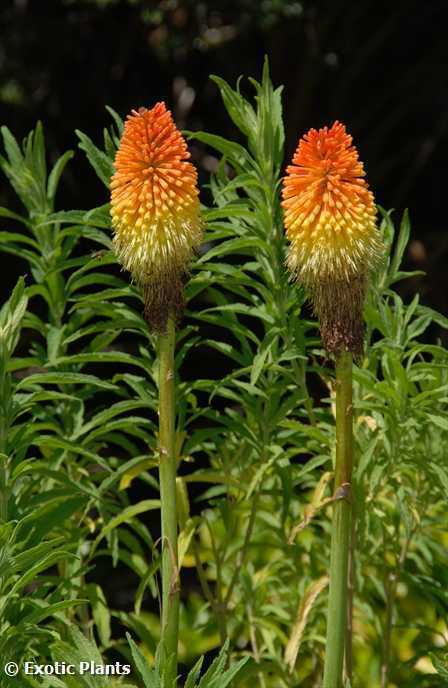 The showy, bright-coloured flowers are ideal for adding a splash of colour to an area or making a bold statement. Flowers of this species also make excellent cut flowers.